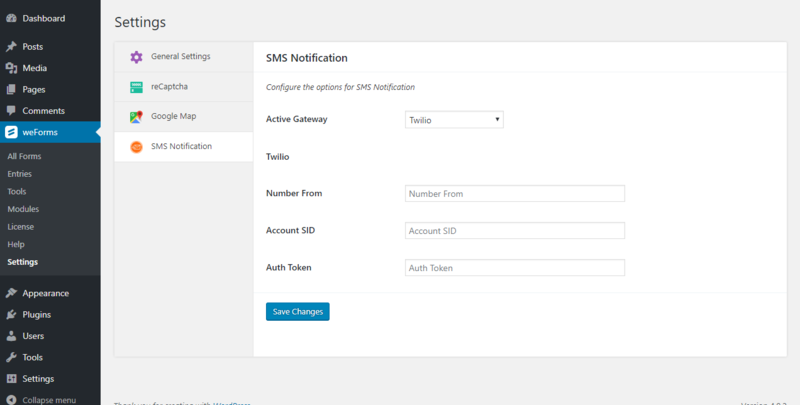 SMS Notification for weForms - Get Notified On Your Phone In No Time! 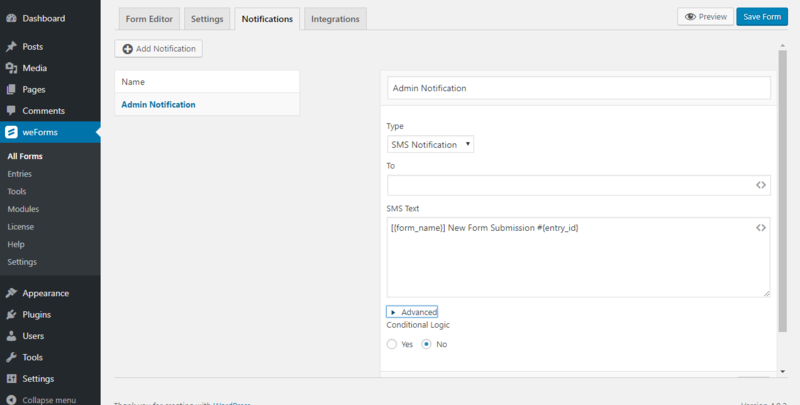 Get a notification through SMS every time a form submission occurs. It’s as simple as that! Use popular gateways like Twilio, Clickatell, SMS Global, Nexmo, Hoiio, Intellism, Infobip. Simple step by step installation process. Just use your credentials for the service provider that you want and start getting messages. 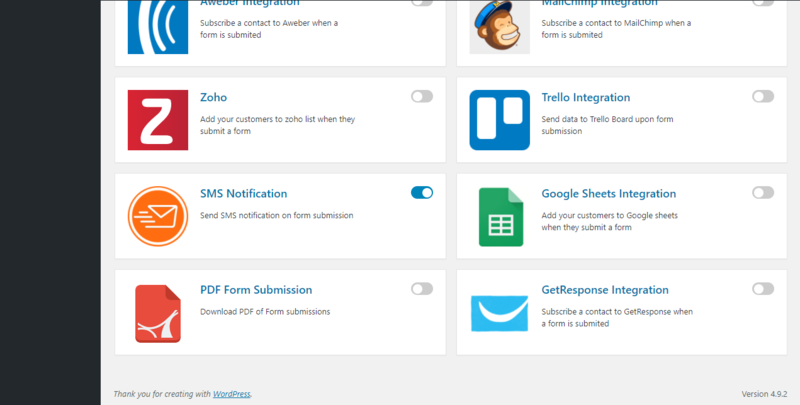 Enable this module and configure the settings to get a buzz for each successful form fill up. You can even redirect sms to a specific number that you want.